From April 26, DX (DX.com) store introduced several new devices DOOGEE brand, which is loud on the market. Additionally, the devics are available at a great prices. 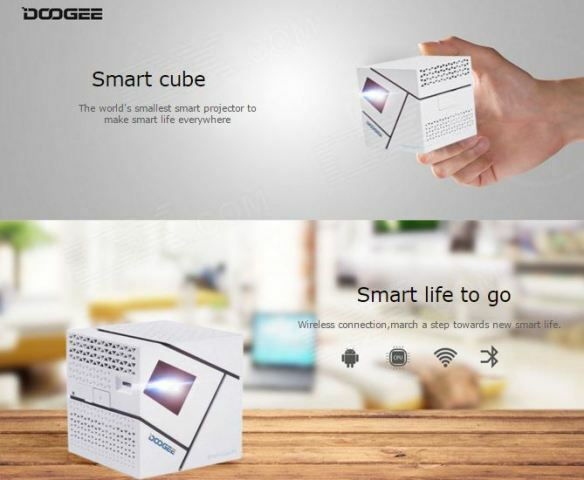 DOOGEE P1 Smart cube DLP Projector most of you do not need any introduction. It is now the flagship unit from DOOGEE, which looks like a Rubik cube – here you will find P1 unboxing. The company also has prepared this small DLP projector, a version of one color – white. Which is also in this color looks nice. The P1 can not only directly using WIFI to surf the internet but also using smartphone Hotspot to surf when users will more fit for business meeting usage. 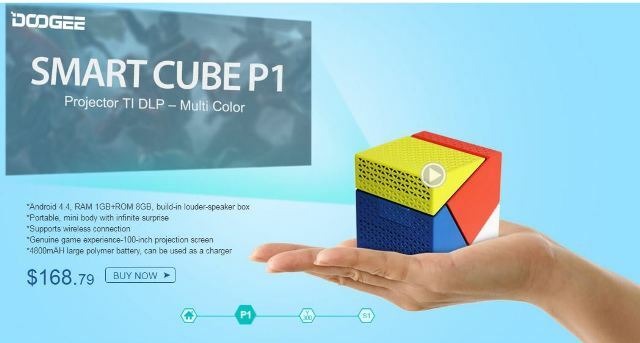 Smart Cube P1 is available on the DX for $168.79 + free shipping (available multicolour and white). 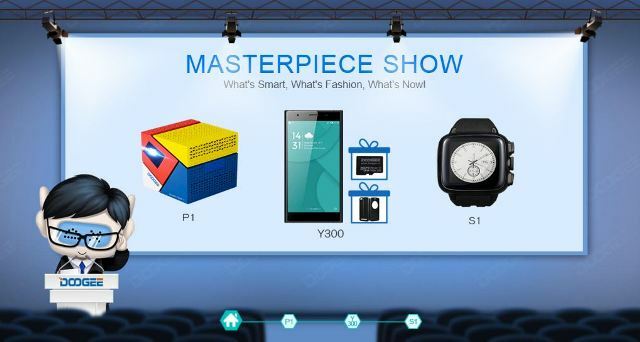 DOOGEE S1 Smartwatch is one of the first smartwatches that has a built-in camera. DOOGEE S1 with camera 5.0 MP , supports Sim card, 2G, 3G internet, and installed with smart sports software , with advanced calculation that can provide exact sports statistics , which always do help to improve the user’s sports plan; built-in heart rate monitor is the most advanced detector for now, can accurately measure the current heart rate, helping you analyze the physical condition. To build a healthier life. 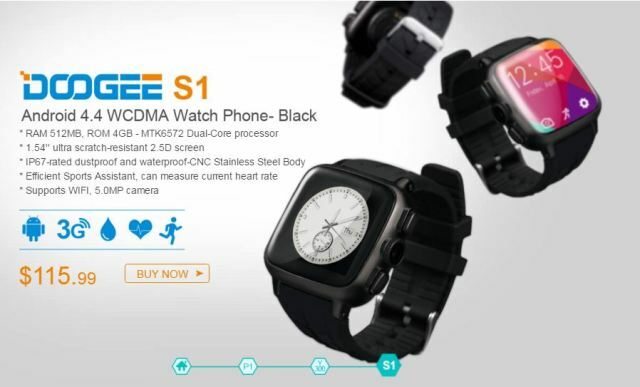 DOOGEE S1 Smartwatch is available on the DX for $115.99 + free shipping.